Welcome to our website. 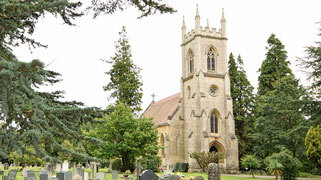 The churches of St Catherine Bearwood and St Mary the Virgin together make the Parish of Winnersh, which is the Church of England in Winnersh and Sindlesham. We are here to worship God and serve the people of our local area. If you would like to get to know us or our churches better then please explore our site and come and join us on a Sunday. The website is updated regularly with our latest services and events, but another good way to keep up to date with our activities is to like our pages on Facebook, using the links at the foot of the page. If you have any further questions you can always contact us using the tab above. We are the People of God, followers of Jesus Christ. Jesus told his followers to love God and love their neighbours, so that's what we aim to do here in Winnersh and Sindlesham. We are part of the church through our baptisms, but everyone is welcome to spend time with us on the journey of faith. The Church of England is here for everyone, and all our services and events are open to all. 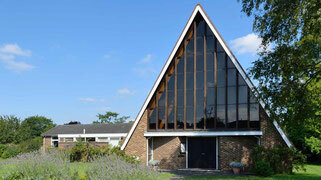 In both of our churches the main service of worship is the Eucharist, or Holy Communion. Jesus invites us all to his table: ready or not, uncertain or committed, worthy or unworthy, regular guests or curious visitors. It is a simple offer of hospitality. At the Eucharist we come together to praise God, learn more about his story and his Son Jesus through study and reflection on the Scriptures, to share fellowship, and to be sent out strengthened to do God's works of love in the world. Whether you are looking for a spiritual home, some new friends, or a place of quiet and comfort in a particular moment of your life, we are here for you.